Though Valentines Day originated as a celebration of the martyrdom of Saint Valentine, no one really knows exactly how the story went. One opinion is that he was a Roman martyred for refusing to give up his Christian faith. Other historians hold that St. Valentine was a temple priest jailed for defiance during the reign of Claudius. Whoever he was, Valentine really existed because archaeologists have unearthed a Roman catacomb and an ancient church dedicated to Saint Valentine. In 496 AD Pope Gelasius marked February 14th as a celebration in honor of his martyrdom. 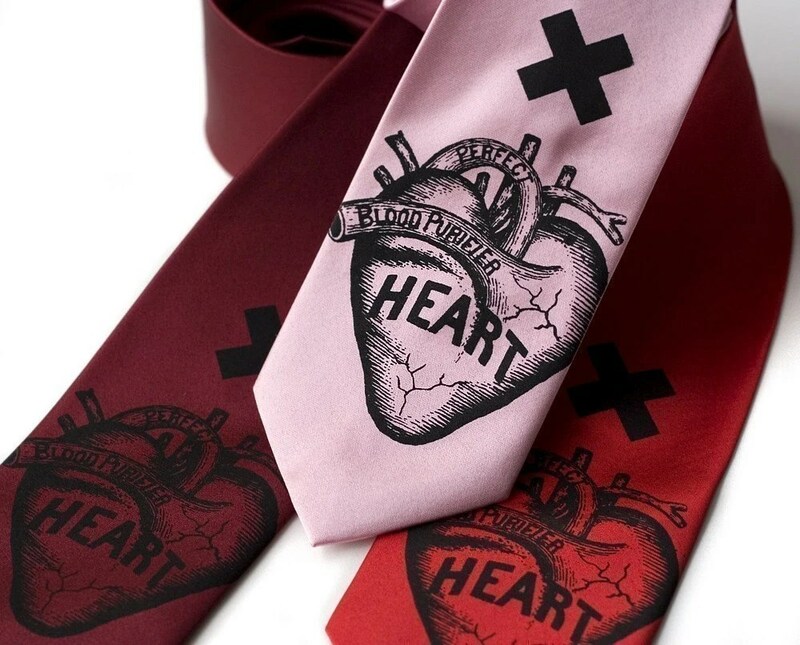 For Him, the Heart Attack tie, available in pink, red, or burgundy. 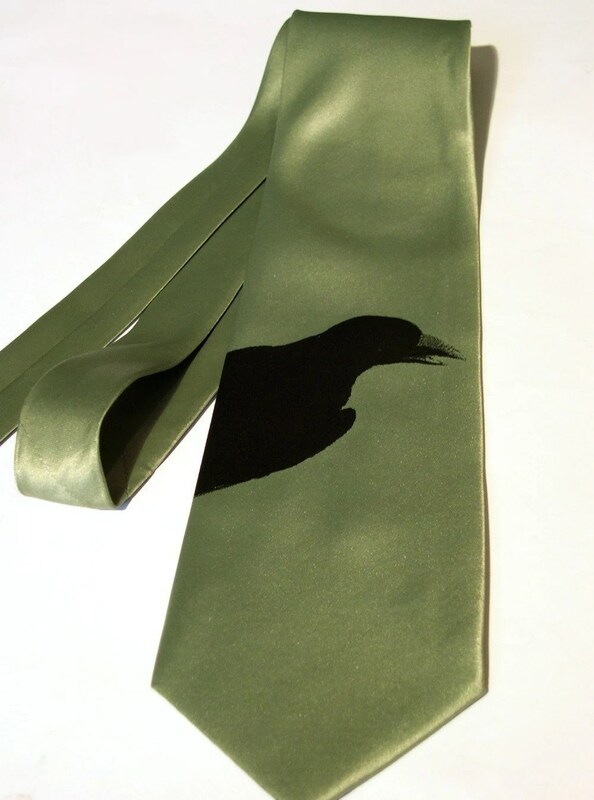 Ok, I admit I’m also just digging the other ties in Toybreaker’s Etsy Shop, including this awesome Raven below. For the ladies there are always too many options, go with something unique, and not overly cliche, please? 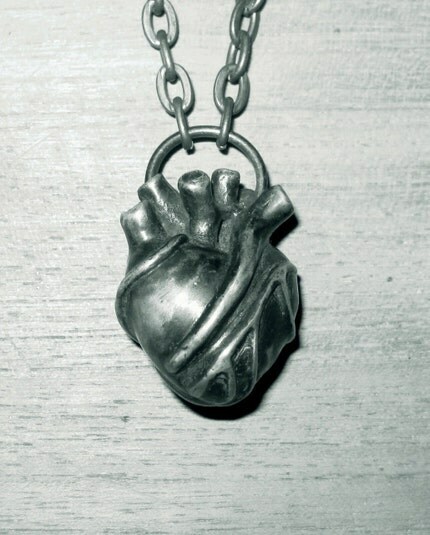 Try this anatomical heart necklace from Etsy seller Jan Hilmer who has a lot of cool non-traditional valentines themed stuff in her shop. Basically, my point here is that if you choose to take the excuse of Valentines day to buy something nice for a loved one, do something original that they will really like as opposed to the “traditional” and often unimaginative options. ~ by N/A on February 2, 2010.